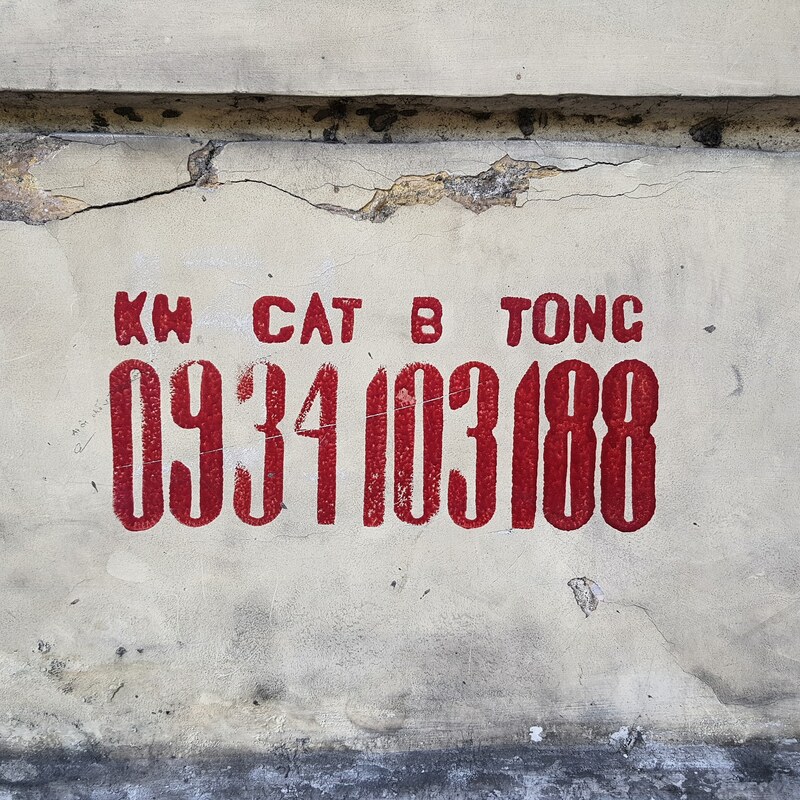 Do you know what KH C B Tong means? You must have seen them already along the streets of Ho Chi Minh City and Hanoi. 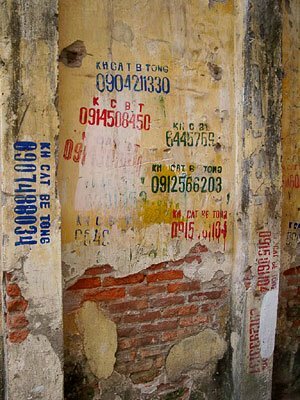 These colorful stenciled wall inscriptions, mixing letters and numbers are usually very eye-catching by their apparent repetition and uniformity. 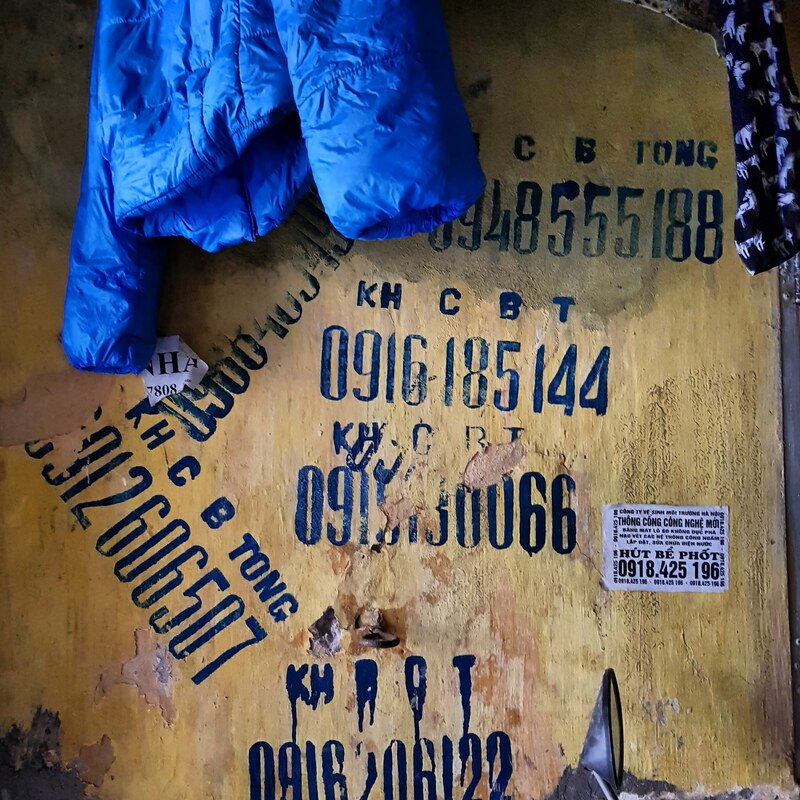 Some of you may wonder what these strange letters and numbers mean and what are they here for. These signs are advertisement for demolition companies that drill, cut and break down concrete and houses. They do not bother to use posters or brochures to advertise their service. 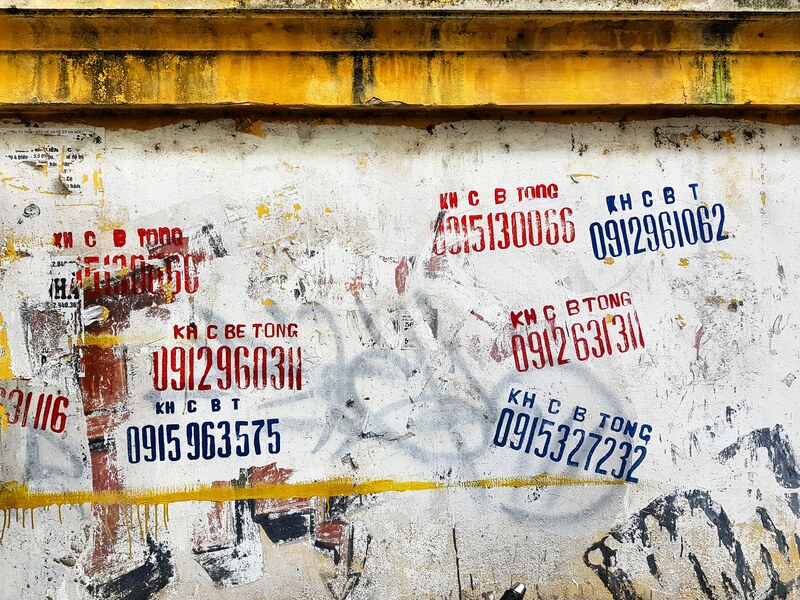 Instead they simply create their own stencil with their mobile phone number and stamp it everywhere. C is for Cắt which means cut in English. B is for Bê tông which means concrete in English (it is derived from the French word “béton”). 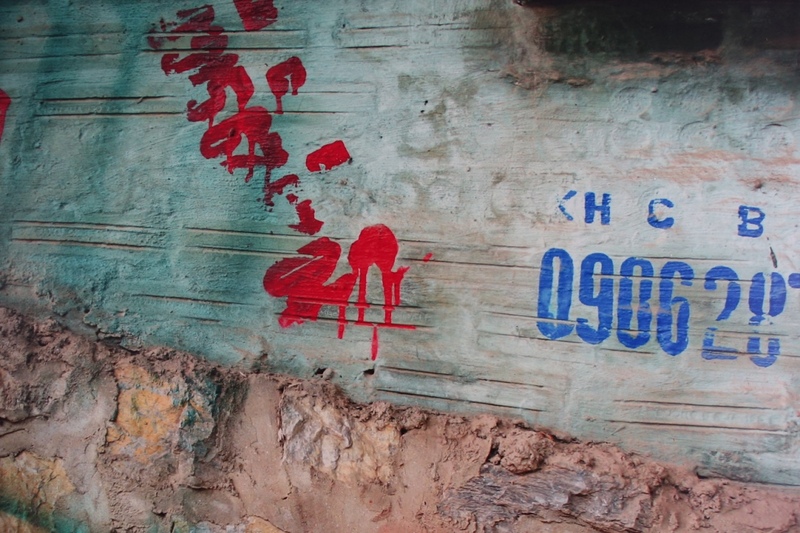 Locals usually find those signs degrading and really annoying, as they cover the walls of their neighbourhoods. 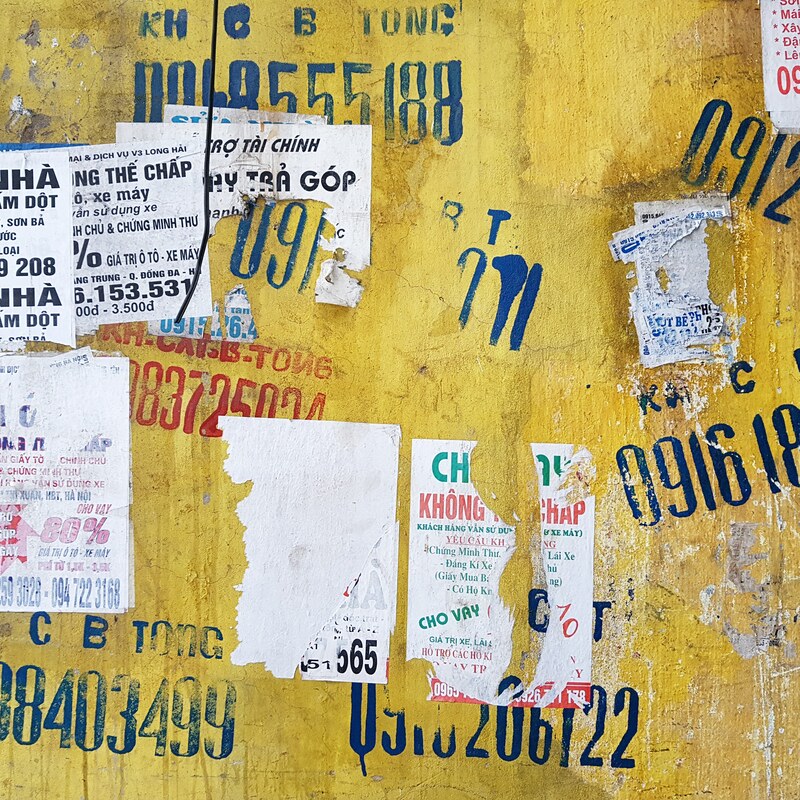 However for visitors or foreigners, those coloured signs can look like local graffiti or street art, giving some city walls a fetishist or hieroglyphic identity. On top of that, the effects of the natural factors such as rain, sun, heat and wind would bring another artistic touch to the signs, making them partly fading away…. If you are into taking photos, you will definitely be delighted by the KH C BT displayed on the walls of the city. If you are interested in discovering Vietnamese cities, you can learn more about our tours in HCMC and Hanoi.